Last week, the 27-year-old National Solidarity Party politician found herself the subject of what she calls “gutter journalism” and threatened to sue publisher Singapore Press Holdings. Here is an excerpt of her interview with Mumbrella Asia editor Robin Hicks about her run-in with SPH, press freedom and the future of media in Singapore. I had to be very deliberate and clear about what my options were. The government has a significant stake in the media here in Singapore. I was up against formidable forces. And even though something untrue and inaccurate was said about me, I had to be careful about the kind of things I could say in response; in how I wrote the emails and posts on Facebook that stated my position. Were you happy with the apology you received from SPH? Yes. But I was very specific in terms of the apology I wanted. As a media planner, I knew exactly where I wanted it to run. I didn’t want it to be hidden. On AsiaOne, I wanted it to be on the news rotator for an entire day and on its Facebook page. In Lianhe Wanbao, I wanted a quarter page in a specific part of the paper. Your case against SPH looked strong. But did you seriously think you could have won in court against such a powerful opponent? Of course. The only thing that would have stopped me from pursuing the case was the time and energy it would have consumed, and the expense. If SPH had wanted to make it difficult for me, I’m sure they could have done so. What do you think your case has done for the reputation of Singapore’s mainstream press? It’s always been an open secret that the mainstream media has a very skewed agenda. I think Singapore is ranked 154th in the press freedom index, and I can’t see that ranking improving in the near future. I used the term “gutter journalism” to describe what happened to me, and that’s a term I do not use lightly. But I felt that I needed to take a stand. I question how newsworthy such a story is to begin with. If there was a scandal, I could understand it. But that title set out to deliberately mislead and tarnish my reputation, and I wasn’t going to take it lying down. In the past, without social media to help them defend themselves, opposition politicians would go to court, and the law suits that followed would lead to bankruptcy. In my case, I had a strong case, backed up with a lot of support in social media. I don’t use social media to rally support for causes, but in this case I felt that it was agenda-based reporting that was deceitful to the public at large. 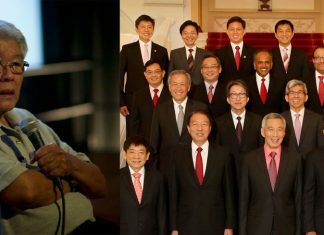 What are your views on the non-mainstream media in Singapore? In the past, without alternative avenues to help them defend themselves, opposition politicians were treated with a heavy hand, and end up in court on charges of defamation. Some even ended up in bankruptcy. I know I had a strong case because my reputation was unnecessarily tarnished. In this case, it was about agenda-based reporting that could potentially be deceitful to the public at large. In 2006, when the government softened internet regulations, sites like The Online Citizen came up as one of the pioneer socio-political independent sites. But it has been hard for them to find regular contributors, their resources have been strained and they face a really hard long-term game. What about The independent, which launched earlier this year? That sits in the middle. What do you think of its chances as a sustainable media brand in Singapore? I haven’t formed much of an impression of it, so it’s unfair of me to comment. Other journalists have tried to do the same thing, so it’s not a first and it’s not an empty space that they’ll filling. Sites like The Real Singapore and The Temasek Review offer alternative journalism online, but they often go with sensationalist headlines that are designed to stir negative comment on their sites and in social media. The biggest challenge these outlets face is how they will sustain themselves and the revenue models they will explore. Ads do appear on these sites, but most probably come from ad networks and are not placed directly. Advertising does not look like a viable revenue model for them, at least not yet. By contrast there is Malaysiakini, which has managed to sustain itself because of a genuine hunger for objective journalism in Malaysia. People are willing to pay for a subscription. But in Singapore, I don’t think Singaporeans will pay for a subscription for an alternative news source yet. Does knowing the media as a media planner make you a better politician? No, not really. I’m in the media industry because I enjoy it. But my very first real job was at a PR agency, during the start of the recession in 2009. I was paid as an intern for 6 months, and doubled up as an Account Executive and Girl Friday, which taught me some valuable lessons. I also observed the way senior management handled crisis management. The key is to be succinct in how you deliver your message. What was your response to the Media Development Authority’s new rules and licence for Singapore’s most popular websites? I was livid. It was a step back for Singapore. People were starting to draw their own conclusions more about what they read in the news, and online outlets like Yahoo! were pulling audiences away from the traditional press. Yahoo! was much faster to get time sensitive information out, and The Straits Times was hurting because it hides half of its stories behind a paywall. It wasn’t just the licence per se that upset me. It was the attitude and spirit behind it. It stifles new news outlets coming up in the future, and it hinders other independent news sources that are already struggling to pay contributors and create strong content for their sites. It’s an interesting time for media in Singapore. How do you see the future of media panning out over the next few years? We’ve already seen a lot of change from the last general elections in how political news is covered. In the past, opposition parties wouldn’t get any coverage at all. But now, as people are getting more vocal online, that has started to change. This is a good thing, although I don’t think it would be fair to see reporting swing too far against the ruling party. The problem is, currently the news is always skewed, one way or the other. Another problem is that things are reported in Singapore that simply wouldn’t be covered in other countries, because they’re not deemed newsworthy – like the experience I’ve just had. Why subject a female politician to a sexist attack? Because you can get a few more eyeballs? I believe that it’s a journalist’s duty to help shape culture, and stories like that achieve nothing. I would hope that as Singapore’s media landscape matures, we’ll see less of that happening in the near future.